Former Manchester United defender Gary Neville believes that Manchester United needs to sign two centre-backs, along with a right-back, a new midfielder and a proven forward in order to challenge for the Premier League title next season. A lot of people questioned Ole Gunnar Solskjaer's ability when United appointed him as their caretaker manager for rest of the season back in December. However, he proved everyone wrong and the Red Devils found a new lease of life under him. 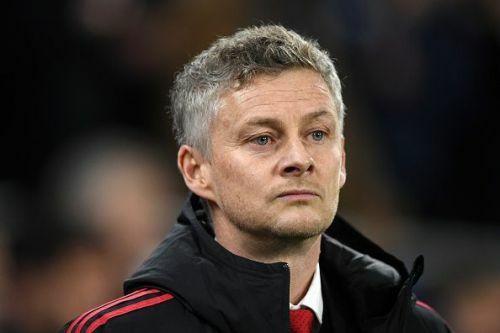 The Old Trafford outfit is yet to lose a league game since his appointment and have forced their way into the 'top four', after being 11 points adrift of the Champions League qualification places when the Norwegian was appointed by the club. The Reds Devils also booked their place in the quarterfinals of the Champions League after beating Paris Saint-Germain on away goals (3-3 on aggregate) yesterday. Speaking to beIN Sports(via Goal), former United defender Gary Neville suggests that Manchester United still have a lot of improvements to make in their squad in order to compete for the top prizes. “Manchester United need two centre-backs. I genuinely believe that. “When you talk about United winning the Premier League title or trying to get to a Champions League final, you need top centre-backs. “They need two new centre-backs and a right-back. That’s a minimum I think for the summer. They’ve looked at doing that in the past and they need to do it this year. “The manager needs a new back four, there’s no doubt. “They need someone with authority. You watch Virgil van Dijk or Thiago Silva, they’re world-class centre-backs and United need someone like that. “I would say three defenders, one midfielder and one forward, because of the form of Alexis Sanchez. The Reds Devils are scheduled to play Arsenal next in the league before squaring off against Wolverhampton Wanderers for the FA Cup quarter-finals on March 17.